STATUS is the best solution for patient - doctor’s relationship management centered on patient virtual medical file. Moreover, health service providers and insurance companies, which strive to continuously improve their services and increase customer base, are already using STATUS as a state of the art solutions for maintaining the mobility and accessibility of medical information. Mobile healthcare, from Cloud. 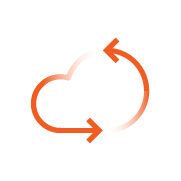 Powerful cloud-based technologies, on premises installation option and world-class services built to scale - on your desktop, tablet, and smartphone. Through STATUS we bring together doctors, patients, health services providers and insurance companies centered on patient medical records, historical data and collaboration for better healthcare services. Get reimbursed faster and stay ahead of change. Increase customer loyalty with real value services. Access your health parameters and check their evolution over time from anywhere. Advanced functionalities for managing front desk activities and reports on staff performance and business efficiency. 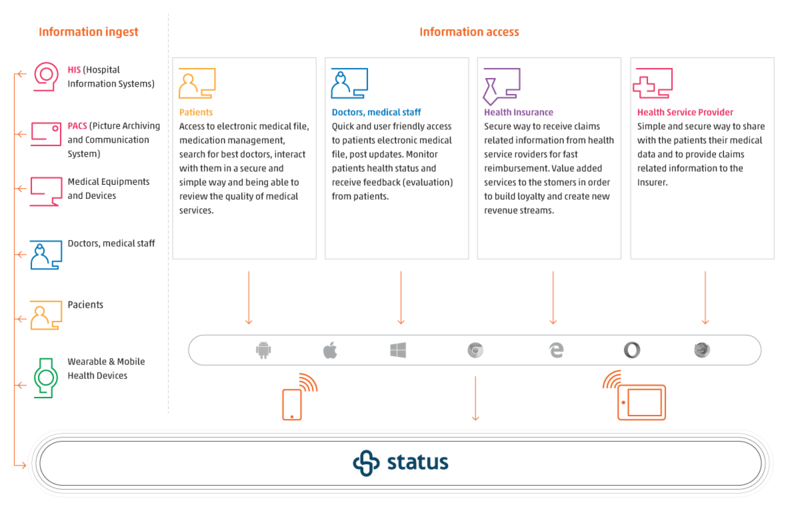 Integrating mobile personal devices with the back end equipment, data in a secure information workplace has never been easier. 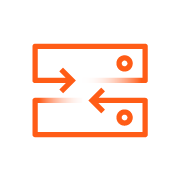 Choose On Premises deployment and use your existing infrastructure for building your private cloud leveraging the native STATUS multi-tenant features. Deliver clinical efficiency and ease-up the decision process with a positive impact over the quality of patient care. Professional and user friendly way to interact with patients using an integrated application centered on patient virtual medical file. Doctors, healthcare service providers and health insurance companies are now connected in real time, sharing information, offering second opinions and delivering better medical services, even without patient’s presence. A safe and secure location for storing medical data with excellent capabilities for long-term medical information storage (retention, digital shredding). Find out how STATUS can help you to treat more patients, get reimbursed faster and stay ahead of change.